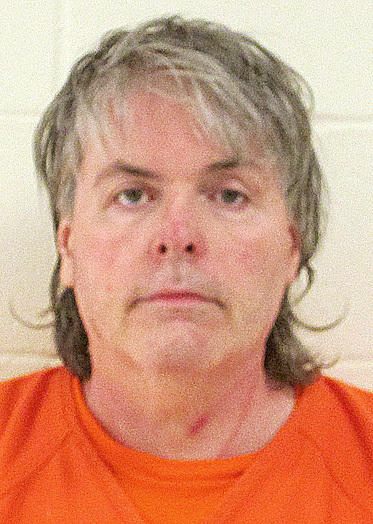 John French, 53, allegedly beat his wife with a broom handle and metal object, then refused to answer the door for two hours when deputies responded. York County Sheriff’s deputies arrested a man Sunday for aggravated assault with a dangerous weapon after his wife alleged he beat her with a broom handle and terrorized her throughout the day. Police were called to Division Road in Limerick about 9:30 p.m. Sunday after a woman with head injuries and covered in blood banged on the door of a home there. The woman told police that she and her husband had been involved in a verbal dispute that escalated into physical violence when he began to hit her with a broom handle and an unidentified metal object throughout the day. Police attempted to contact the husband, John French, 53, but he refused to answer the door for over two hours. Eventually police contacted him and he was arrested without incident. She also told police that her husband had taken away her cell phone Sunday so she could not call for help, and that she waited to sneak out of the home to get the neighbor’s attention and summon police. French is charged with aggravated assault with a dangerous weapon, a class-B felony punishable by up to 10 years in prison, a $20,000 fine or both. He is expected to be arraigned via video link Monday. The woman was treated at a hospital and released.